United Cuts Ties with the Exchanges – But Who is to Blame? mployee health and wellness programs elevate the power of self-insurance, but some industry insiders say itâ&#x20AC;&#x2122;s impossible to produce credible numbers showing a positive return on investment. Meet Al Lewis and Vik Khanna, whose critical view on the subject spotlights several caveats. The pair is so sure of their hypothesis theyâ&#x20AC;&#x2122;ve offered a legally binding $1 million reward for anybody who can show that wellness breaks even, pointing out that so far there are no takers. Too many wellness initiatives are seen by employees as a chore or even punishment, which they suggest undermine program results along with morale, job satisfaction and productivity. They also point to a perverse system deeply mired in overdiagnosis and over-treatment, charging that experts eschew legitimate evidence-based measures because it would decimate their profits. WELLNESS MEASURE UP? | FEATURE Others, however, prefer to focus on designing group health plans with clinical pathways targeting higher-level risks that ultimately will improve health outcomes or at least make employees happy. Happier employees, they argue, will lead to happier customers, regardless of whether there’s a price tag associated with that result. They also support more consumer-oriented solutions that help employees better understand the connection between their health and cost of treatment, including tools to sustain healthy habits. Only then, the thinking goes, will workplace wellness reach the level of success that has eluded so many well-intentioned sponsors of these programs. The quickest and most efficient way to ROI is through an increase in employee premiums, deductibles and coinsurance alongside a consumerdriven health plan with high barriers to care, explains Ron Goetzel, Ph.D., who’s often at odds on this issue with Lewis and Khanna. about wellness ROI, Goetzel says a 1:1 baseline result is good enough as long as the health and wellbeing of the workforce is improved. That’s a far cry from the roughly 30% ROI attributed to McKesson Corporation, one of two C. Everett Koop National Health Award recipients from 2015. The number was based on preliminary findings from an independent research group at Harvard University over a three-year analysis period. Goetzel plays a leadership role in vetting and recognizing program applicants. The true value of a wellness program isn’t necessarily identified in ROI or any given number, but rather whether employers are able to perform a population risk evaluation. So says Joe Hodges, founder and president of INETICO, Inc., as well as a veteran in the medical cost-containment field. Under that scenario, they’d be able to appropriately apply programs and consumer-friendly tools that are meaningful to health plan members. “Only then can you influence a positive outcome for them that actually has an influencing component to the cost of a claim,” he says. His approach is built around four pillars: wellness, condition or disease management, utilization or case management and claims management. Recognizing the challenge of producing credible ROI for employee wellness, the industry has proposed an alternate metric called “value on investment,” which critics say falls short because program intangibles simply cannot be measured. of ROI, he says, instead of relying upon insurer proposing a formula, algorithm or model. In fact, most recipients of the Koop award over the past two decades that recognition has been in place were self-insured, according to Goetzel. “They have kind of a clearer picture of what their utilization, cost experience and health risk experience is,” he says. 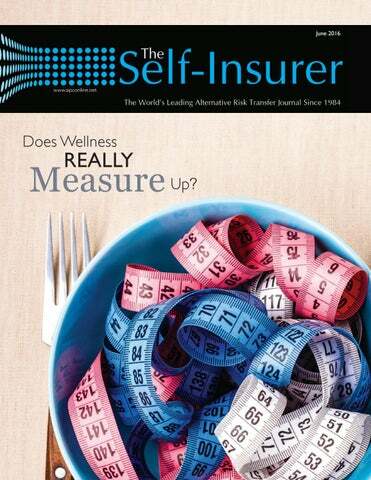 Wellness programs at self-insured companies have “more fluidity” than fully insured arrangements, Hodges observes. He believes there’s “a greater opportunity, from a selfinsured perspective, to measure the success of a wellness program because the cost of claims and services on the front end are much more transparent.” Less than 60% compliance or adherence to treatment of employees with a chronic condition will result in a greater than 15% chance of an inpatient admission or ER visit, Hodges explains, which will escalate plan costs. But he says raising that rate to at least to be 80% will drastically lower the chance of an inpatient hospitalization or ER visit to less than 4%. WELLNESS MEASURE UP? | FEATURE Two highly respected entities that use this rate are the Health Affairs journal and a GE-Intel joint venture known as the Care Innovations Validation Institute, whose mission is to employ “the highest standards of validity” when evaluating population health outcomes. But since “it rarely, if ever, shows any impact” in terms of program savings, Lewis says industry consultants and suppliers aren’t using the measure. “Nobody knows how to measure the success of their wellness programs and nobody does it well, no matter whether they’re self-insured or fully insured, or some mix in between,” observes Khanna, an independent health consultant, who has written extensively on the topic with Lewis. If anything, Lewis says wellness actually increases health care spending. He cited as a recent example results associated with Connecticut’s state employee wellness program, as well as a report compiled by HERO and the Population Health Alliance. Those organizations estimated wellness program costs at $1.50 per employee per month, excluding what Lewis noted were incentives, consulting fees, staffing costs, additional medical expenses and other items. Strengthen your business with In-Sight, the first truly integrated Employee Benefits, Workersâ&#x20AC;&#x2122; Compensation and Health Management program. In-Sight puts the administrative and cost control efforts of these programs into the hands of a single, integrated team. Why? Integration allows us to eliminate administrative oversight, prevent duplicate claims and address potential health issues before they become costly problems. The result? Reduced claims spending and a healthier, more productive workforce. Call IPMG at (888) 470-9569 to learn how In-Sight can strengthen your business. WELLNESS MEASURE UP? | FEATURE classes in a conference room three times a week. “She’s standing room only,” Khanna notes. In addition, the company subsidizes about half the cost of a catered salad bar and encourages employees to take home on Fridays any leftover fresh fruit that’s delivered to the office in unlimited quantities. Khanna believes a more holistic view of employee health is necessary to encourage healthier living. “There has to be a balance struck between the growth and the needs of the organization and the welfare of the employees,” he says, noting the importance of breaks for lunch or exercise. “If you aren’t paying attention to people’s emotional health and their stress levels, you’re not going to have employees who can grow your company they way they’re growing.” Another way to improve program engagement is through gamification. “But we have to be really cautious because we don’t want to be the game of the week where someone gets bored playing it,” Hodges cautions. It all boils down to participation, which he describes as “the absolute key to the success of any wellness program if we’re going to look at the effect of ROI in the plan.” His larger point is to provide a valued and appropriate incentive to participate, such as deep discounts on monthly premiums vs. a $50 gift card or trinkets. With regard to reversing over-diagnosis and over-treatment patterns, two pet peeves of Lewis, he says there’s an easy fix. It involves following guidelines for screening frequencies and medical testing put out by the U.S. Preventive Services Taskforce. But once again, he cites the issue of profits trumping lives, noting how broker and vendor compensation would plummet about 75% under that scenario. In an effort to help employers police their wellness programs, Quizzify created a free website called www.theysaidwhat.net where Lewis says they can learn the facts about their vendors. The company also has partnered with Harvard Medical School to ensure that its material is valid. ■ Bruce Shutan is a Los Angeles freelance writer who has closely covered the employee beneﬁts industry for 28 years. he high cost of medical professional liability (MPL) insurance can be daunting for healthcare practitioners, physicians and physicians groups. Especially as most healthcare practitioners pay the price for a very small number of negligent practitioners. Yet group captives have helped healthcare workers to keep MPL pricing stable and in some cases lower their costs. Since the 1970s, big settlements for malpractice suits has made MPL insurance more expensive and, at times, hard to procure. According to B. Troy Winch, vice president and director of Captive Insurance at Risk Services, LLC, â&#x20AC;&#x153;Medical professional liability claims typically deal with injured individuals which can give rise to large awards, especially in the case of jury trials where sympathy can drive the final judgment amount. Additionally, given the potential for large judgments and settlements, the cost of defending MPL claims can be extremely expensive based on the complexity of the cases, multiple defendants, expert witness costs, etc.â&#x20AC;? Over the last forty years, many states have implemented tort reform in order to help lower large settlements which helps keep premium for medical malpractice at a lower rate. However, in other states MPL costs continue to rise, which can price many physicians out of practicing. In a study published in the March edition of The New England Journal of Medicine only one percent of all physicians accounted for 32% of paid claims. Renalogic specializes in avoiding or drastically reducing dialysis costs. Our end-to-end program is designed to improve the health and outcomes of Chronic Kidney Disease (CKD) patients. Renalogic. The solution you’ve been wishing for. the benefits of creating a long-term insurance solution for themselves.” ■ Karrie Hyatt is a freelance writer who has been involved in the captive industry for more than ten years. More information about her work can be found at www.karriehyatt.com. “It specifically lays the groundwork for consideration of the Self-Insurance Protection Act (SIPA) (S. 775 and HR 1423) as that bill moves ahead. We’re looking for bipartisan support as Members become aware that selfinsurance provides the health care for over a hundred million Americans.” Congressional relations is not a “one-and-done” process, in Clemente’s view. “We need to be here on an ongoing basis because members of the House are elected every two years and staff members change continually. “The most important visitor to any Congressional office is that person who is a constituent of the senator or representative’s home state or district. SIIA members who can state the case for self-insurance in the context of health care, jobs and economic development always get a fair hearing from their representatives and their staffs.” SIIA’s Work indicated that Congressional visits for the association’s members are a critical component of its proactive approach to strategic outreach and will continue on a regular basis. ■ SIIA members who wish to join the campaign to educate Members of Congress are welcome to contact Ryan Work in the Washington ofﬁce at rwork@siia.org or (202) 595-0642. We’re proud of our mileage. This year, Symetra Life Insurance Company celebrates an important milestone—our 40th anniversary as a medical stop loss provider. That makes us pioneers in the industry, with decades of experience in service, underwriting and claims management. When placing your stop loss business, go with the company that’s been here from the start. We don’t just know the road, we helped write the map. To learn more, visit www.symetra.com/stoploss40. Force was to identify the current state of stop-loss in New Mexico through a survey that has been circulated to all the state’s stop-loss carriers. “Getting good data about the state’s stop-loss market should help us,” Brackemyre said. “The Superintendent suggested an attachment point of $100,000 at one point and those of us in the room said very respectfully, ‘you’re going to hit a lot of health plans if you do that.’” A “real world” view of self-insurance and stop-loss is provided by Task Force members who are closest to the New Mexico employer community. Task Force member Anne Sperling, president of a local brokerage firm, Vanguard Resources, Inc. of Santa Fe who earlier was instrumental in forming the New Mexico Health Insurance Alliance, said the OSI has moved off of a 2015 position that stop-loss policies should comply with the federal ACA, to its more consultative approach of the present. “Many smaller employers here do not have HR departments so the burden for their education and communications with their employees should be picked up by our brokerage industry in cooperation with the regulator,” she said. Brackemyre noted that the OSI has indicated that discussions within the Stop-Loss Task Force are planned to contribute to a 2017 legislative bill that would establish future stop-loss regulation. ■ SIIA members who wish to join the state government relations team are invited to contact Adam Brackemyre at the Washington, DC, ofﬁce (202) 463-8161 or abrackemyre@siia.org. “The OSI has seemed nervous about smaller groups that may not have sufficient understanding of the costs and obligations of self-insurance and that’s a valid point,” she said. “I have raised the idea of establishing a certification program for carriers and brokers that could serve as an enforcement tool more effectively than rigid legislated standards. ate last year, UnitedHealth, the nation’s largest health insurer, warned that in 2016, it may make the decision to pull out of the Obamacare health insurance exchanges completely, starting in 2017 (it had already cut its advertising on all ACA plans). Not surprisingly, this sparked a great deal of commentary among both supporters and critics of the ACA, some leveled and thoughtful, some bordering on panic. Now, approaching the halfway point of 2016, it is becoming clear that United will make good on those representations. Per more recent reports, United already has plans to withdraw from marketplaces in Michigan, Connecticut, Arkansas and Georgia and has maintained the possibility of leaving the exchange marketplaces completely in 2017. Not surprisingly, the reason behind United’s withdrawal from the exchanges is a lack of profitability. So, before discussing the likely effects on the exchanges, it is worthwhile to look at what has made them unprofitable for companies like United in the first place. A primary reason is the same reason self-funding is so attractive to many employers and has become even more attractive in recent years – the ACA stripped insurers of many of the methods they previously utilized to control how much risk they take on. customers, the establishment of annual out of pocket maximums, however you feel about these regulatory requirements, there is no question that they result in significant added claim exposure for insurers. Add to this a marketplace where a large pool of previously uninsurable Americans are given the opportunity to enroll all at once and the obvious result is a historic influx of high risk insureds. But, are the exchanges truly unprofitable and unfriendly to insurers across the board, or just to insurers such as United? Other insurers are having more success and it is quite possible that United has simply attempted to utilize an outdated model in a new landscape with different rules. Exchange customers tend to choose lower cost options and United is rarely the most economical benefit option (and when it is, it is not by much). Commentators have posited that this could be because its plans tend to offer wide networks, providing for maximum flexibility in choosing between medical providers over a large geographical area, while other insurers have kept costs down despite the ACA with features such as narrow networks and other cost containment methods. In addition to reasoned commentary suggesting that United’s failure in the exchanges is at least partially the fault of United rather than the exchanges themselves, the actual impact on the exchanges of even a full withdrawal by the nation’s largest insurer may not be as devastating as many might think. Despite being the nation’s largest insurer, United’s actual footprint in the exchanges, before any withdrawals, is not particularly large (it covers about 6 percent of all marketplace enrollees). A report released last month by the Kaiser Family Foundation concluded that without United, the cost of the exchanges most popular silver plans would increase by about 1% nationally. However, the loss of United could have a much more significant effect locally, particularly in parts of the south. Many areas have access to few insurers offering exchange plans and if another did not step in to fill the gap, United’s withdrawal would leave millions of exchange enrollees with only one or two insurers to choose from. In an insurance market, a lack of competition is never a good thing for customers. A Bailout of Health Insurers This possibility may be determined more by the next election than by the healthcare marketplace, but it is a distinct possibility nonetheless. Any campaign promises aside, a “bailout” would likely come in the form of a restructuring of the ACA’s “risk corridor” cost-shifting features rather than an actual “repeal” of the ACA (which would render millions of Americans immediately uninsured with no prospect of replacement coverage). In its current form, the risk corridors are budget-neutral, in that funds are shifted only from profitable insurers to unprofitable ones, thereby insulating participating insurers from some of the losses they may stand to incur by taking on additional claims risk. Introducing public funds into this system could bolster this insulation, making the ACA exchanges more attractive to insurers, with the ultimate cost of course falling onto taxpayers. supporting self-funding, particularly stop-loss or reinsurance, which can be regulated at a state level without the need for federal action. In fact, many lawmakers at state and federal levels are already attempting to hyper-regulate stop loss and reinsurance carriers, openly stating that the purpose of such regulation is to cull self-funding, thereby strengthening the exchanges. Andrew Silverio joined The Phia Group, LLC as an attorney in the summer of 2014. In addition to conducting research into novel and developing areas of the industry, his primary focus is on subrogation and reimbursement and he handles many of the company’s more challenging and complex recovery cases. he took the step into the healthcare realm of the legal world, serving ﬁrst as an editor and content contributor and then on the executive board of the Journal of Health and Biomedical Law. Andrew is licensed to practice in the Commonwealth of Massachusetts. For more information on how to stay ahead of the curve, contact info@phiagroup.com. who’s guaranteed to protect your best interests. That’s why third-party administrators and self-insured groups rely on H.H.C. Group to save the maximum amount of money possible on their medical claims. Armed with advanced technology and driven by a dogged work ethic, our resourceful team never gives up on your medical claims. elf-funding has become one of the most widely used forms of risk ﬁnancing for employee healthcare coverage. In 2000, about 48% of all employers self-funded their employees’ healthcare coverage. Five years later, the percentage of selfinsured employers had grown to the mid-50’s and in 2016, fueled by the Affordable Care Act (ACA), the percentage of self-insured employers has eclipsed the 60% threshold and is expected to continue growing at a signiﬁcant pace. MEDICAL STOP-LOSS CAPTIVES | FEATURE an option to lower or offset the cost of healthcare delivery to their employees. With such sustained growth, the strategic use of stop-loss captives, to augment traditional self-funding, is also likely to grow. Medical stop-loss captives have enjoyed niche-level popularity for several years. However, during the past year, their acceptance has risen to a more mainstream level. Increasing familiarity with alternative financing options, coupled with increasing ACA regulatory discomfort, are probably responsible for this rise in the comfort level employers now feel with regard to stop-loss captives. As a result, the same alternative-risk financing techniques that, for decades, were used to reduce the cost of casualty risks, have recently found a new degree of popularity within self-funded healthcare programs. What are the Beneﬁts in Arranging Medical Stop-Loss Cover(age) Through a Captive? The first and most obvious, benefit is the cost reduction made possible by delivering healthcare insurance to employees through a captive, especially on a long-term basis. The premise any alternative risk structure is based upon, is that of achieving the most appropriate balance between risk assumption and risk transfer – in order to optimize savings, while at the same time supporting the organization’s risk management, financial and business objectives. Captive participation in excess coverage (Medical Stop-loss) that insures a self-insured plan, will amplify the benefits derived from self-funding alone. For smaller employers, participation in a group captive can provide increased access to many of the same advantages (increased risk spread, service provider cost leveraging, surplus dividend sharing and so forth) that are enjoyed by larger organizations with a single-parent captive. Since the underwriting variables for each employer and captive are different, it is difficult to provide potential cost savings figures. The primary objective of a properly structured alternative risk program is to distance the employer from dependence on more volatile, or cyclical, standard insurance markets – in order to promote long-term stability and sufficiently reduce the cost of risk over time. expensive, or otherwise unavailable within traditional or standard insurance markets. Although some stop-loss policies will provide coverage that mirrors an employer’s Plan Document, most stop-loss policies contain exclusions (Differences in Conditions a/k/a DICs) that conflict with the Plan Document. Stop-loss carriers will also frequently identify specific individuals with large, ongoing medical conditions and exclude (a/k/a “lasered”) them from stop-loss coverage. DICs and lasers are examples of terms and conditions that can be effectively absorbed by a captive, in order to help maintain long-term continuity to self-funded benefit delivery. For more than 15 years we have been a trusted source for your Stop Loss needs; Helping business maintain profitability with customized Stop Loss products and cost containment services. sponsoring entity, typically an insurance company, which “rents” space within the pre-established captive to insureds. This rental structure provides many of the same benefits, without much of the required financial commitment associated with traditional (memberowned) captives. RACs may also be structured as segregated (or protected) cell companies in which the assets and liabilities of each group of participants are legally separated from other groups and cannot be used by other members to meet their liabilities. Are Group Stop-Loss Captives Considered MEWAs? Group captives are not considered Multiple Employer Welfare Associations (MEWAs) and that is an important distinction. In a MEWA, premium contributions from several employers are commingled into a single trust or custodial account and used either to purchase insurance or pay claims directly to providers or employees. All MEWA funds are controlled and managed by a centralized administrator, leaving room for little or no control by employers. MEWAs are also heavily regulated by the few states that actually permit them. In a group stop-loss captive, each employer establishes a separate selffunded benefit plan and purchases a separate (individual) medical stop-loss policy. There is no comingling of plan assets, nor is there joint risk sharing among the benefit plans of individual participating employers. Each employer maintains full control of their benefit plan, including the ability to set funding levels and select, appoint and control plan administrators, TPAs and most other related service components. The captive participates only in the medical stop-loss coverage, which is separate and not directly connected, to the benefit plan itself. Do you aspire to be a published author? Do you have any stories or opinions on the self-insurance and alternative risk transfer industry that you would like to share with your peers? We would like to invite you to share your insight and submit an article to The Self-Insurer! SIIA’s official magazine is distributed in a digital and print format to reach over 10,000 readers around the world. The Self-Insurer has been delivering information to the self-insurance/alternative risk transfer community since 1984 to self-funded employers, TPAs, MGUs, reinsurers, stoploss carriers, PBMs and other service providers. • The group participants select a common stop-loss carrier to provide coverage to all members. • Once a viable participation commitment (critical mass) has been achieved, each employer will establish and maintain an individual self-funded healthcare plan. This will include choosing the desired plan design and all related service components, such as third-party administrators (TPAs), provider networks and the like. Although each employer’s plan is designed and maintained separately, the size advantages of the group can be leveraged, if related components are collectively obtained from common providers. • Each employer purchases specific and aggregate medical stop-loss coverage, according to their own risk appetite. The stop-loss is purchased from the common insurer or reinsurer that will provide coverage to each member of the captive. • The stop-loss carrier then cedes a portion of the collective stop-loss portfolio, attributable to all participating group members, to a captive owned jointly by all participating members. (For example, the captive would assume risk participation within the $250,000 excess of $250,000 layer or $500,000 excess of $500,000 layer within the collective portfolio.) The actual captive participation level will be determined by the collective risk appetite of the insured members, with agreement from the ceding carrier. Group captives can increase leverage with carriers, provider networks and related service providers, in order to generate volume-related discounting that typically would not be within reach of many individual self-insurers. By retaining an additional participation layer through the captive, the pricing volatility associated with the stop-loss coverage can be mitigated. Employers with more than 1,000 employee lives typically have little mechanical or financial difficulty in maintaining a self-funded program and have access to stop-loss coverage in relative abundance. Medical stop-loss and overall structural options for smaller and mid-sized companies (those having between 100 and 500 employee lives) can be more challenging. Group captives show significant promise in enhancing self-funded program stability and in expanding the accessibility of stop-loss to employers within this segment. Group captives are not new; they have been effectively used to cover the casualty exposures of mid-sized employers for decades. Both single-parent and group captives are empowered with the control to select unbundled service providers, determine coverage levels, manage losses, direct the use of surplus and, ultimately, share in the results – ideally generating a bottom-line profit. Effectively exercising these capabilities helps firms strategically reduce the cost of risk while optimizing their long-term stability. Whether single-parent or group captive, all employers must demonstrate the following: appropriate financial stability, a willingness to assume risk and a commitment to sound risk management and the promotion of improved employee health and wellness. Whether or not to make use of a stop-loss captive is a collaborative process, one involving the client and their consultant/broker, along with the (re)insurance carrier. Client suitability for captive participation is predicated upon their financial management and employee benefit objectives, followed by the selection of the most efficient structure to achieve those objectives. Self-funding is based on retaining predictable segments of risk, while transferring the more unpredictable risk layers to an insurer. The level of appropriateness for participation in a captive is determined by an employerâ&#x20AC;&#x2122;s ability to assume additional risk, along with a slight increase in administrative responsibility, in order to achieve an enhanced reduction in overall plan costs. In terms of appropriate characteristics, size is the first consideration. Can the entity efficiently (and perhaps sufficiently) assume enough credibly predictable risk to achieve a commensurate return? For single-parent captives, assuming the owner is adding stop-loss to an existing captive, $1 million of premium is a normal benchmark for minimum appropriateness. For group captives, the minimum threshold is generally 10 employer groups, or 1000 lives (averaging 100 lives each) and $2.5 million of premium, with a more homogenous (industry-specific) member composition being preferable, from an underwriting standpoint. As mentioned earlier, the more heterogeneous the group, the larger it needs to be, in order to attain an appropriate spread of risk across various industry classifications and employer sizes. MEDICAL STOP-LOSS CAPTIVES | FEATURE itself, but does not regulate insurance. Within a self-insured structure, the employer assumes the financial liability for all the claim obligations of the plan. Medical stop-loss coverage, purchased by the plan sponsor, does not insure the plan; rather, it indemnifies the sponsor for its claim obligations to the plan. In this regard, the DOL only regulates a plan sponsor’s responsibilities as they relate to overall plan administration and the delivery of benefits to employees. Individual states regulate insurance, including medical stop-loss. However, since the plan is self-insured (and specifically deemed by ERISA not to be insurance), state insurance mandates are preempted and are therefore not applicable in relation to the plan. Does a Stop-Loss Captive Require DOL Approval? Any employee benefit insurance (other than voluntary coverages) that provides coverage directly to an employee will require an ERISA Prohibited Transaction Exemption (PTE) from the DOL, for inclusion into a captive. Since the self-funded medical plan itself is not part of the captive, it does not require a PTE. Medical stop-loss is not recognized by the IRS as a plan asset and, as mentioned previously, it insures the employer rather than the employer’s employees. It is not considered employee benefit coverage and since neither the DOL nor ERISA have regulatory jurisdiction, a Prohibited Transaction Exemption (PTE) is not applicable to a medical stop-loss captive and is not required from the DOL. The fact that medical stop-loss insurance is not considered employee benefit coverage was recently affirmed by the U.S. DOL in a November, 2014 technical release (US DOL No. 2014-01). HEALTHIER IS HERE A company is only as strong as its people, so keeping them healthy is a great investment. As a health services and innovation company, we continue to power modern health care through data and technology. is not recognized by the NAIC as an “authorized reinsurer,” some level of collateralization, commensurate with the amount of risk ceded to the captive, will be required. However, most of these expenses would be part of a traditional self-funded program and are offset by the potential underwriting and investment returns generated by the captive and returned as dividends or premium credits to the owner-members. MEDICAL STOP-LOSS CAPTIVES | FEATURE are unrelated entities. Since we are unable to provide tax advice and as there have been some conflicting opinions, our recommendation is to always seek appropriate guidance from a qualified captive tax attorney. ensuring that the appropriate surplus has been established to accommodate the new line of business. Domicile selection for group captives is a bit different. More of these are being established solely to write stop-loss and as such, the incorporations have gravitated to domiciles that are friendlier to and familiar with, the nuances specific to group captives, such as the Cayman Islands, Bermuda and Vermont. Just as self-insured casualty programs utilize loss control techniques to improve employee safety and mitigate claims, it is imperative for self-insured health care plans to employ effective cost containment measures. Programs such as utilization review, large case management and negotiated provider discounts, have long-proven their effectiveness for reducing the cost of claims, after they occur. Newer initiatives, such as employee wellness programs and predictive modeling, strive to preemptively reduce claim expenses by improving the overall health of the employee population. Increasing employee wellness will help to significantly decrease the cost of providing employee health care coverage – not immediately, but over time, as the effects of the wellness program matriculate. More progressive plans incorporate elements such as referenced-based pricing, virtual (telemedicine) care and medical tourism into their design, as additional cost-reduction techniques. There will be some increase in fixed costs associated with the implementation of some risk management initiatives; however, the savings generated by the corollary reduction in claims costs – a much larger expense – will offset the initial expenses, over time. Interest in self-funding and stoploss captives will continue to grow as medical costs continue to rise and uncertainties related to the ACA threatens the amount of control employers can maintain within more conventional insurance structures. Properly structured captives can stabilize and even lower the cost of medical stop-loss coverage and they can facilitate enhanced benefit delivery, over more traditional self-insurance, for many employers. ■ Phillip C. Giles, CEBS, is Vice President of Sales and Marketing for QBE North America’s Accident & Health business, overseeing sales and strategic marketing initiatives and medical stop-loss captive production. He has 30 years of experience in Accident & Health and Property & Casualty Alternative Risk. Steven A. McFarland is Vice President of Specialty Markets for QBE North America and manages its Medical Stop-loss Captive Programs. He is a member of the Alternative Risk Transfer Committee for the Self Insurance Institute of America and has more than 25 years of industry experience. ave you noticed an increase in the number of free standing emergency rooms in your community? How about the number of billboards promoting current wait times at the local ER? When the focus these days is increasingly on lowering health costs, this is both an alarming trend and a misaligned message. Promoting the convenience of heading to the nearest emergency room sends the wrong signal to health care consumers. We are asking insureds to be engaged consumers of health care now more than ever, and the notion of marketing an emergency room based on wait time is likening the ER to your local walk-in hair salon. There’s value in having emergency rooms as very important points of care for true emergencies, but self-insured employers are risking signiﬁcant capital if their employees start to view the ER as the most convenient place to see care. is a crucial strategy that drives medical claims down while giving employees more choices in seeking care. Telehealth gives health care consumers 24/7/365 access to board-certified primary care, internist, and pediatric physicians. The best telehealth partners will provide this access via landline phone, desktop computer and most importantly to increase engagement... through a smartphone app. Let’s face it; we live in a world of real-time access to all important information in our life thanks to technology. It’s true of banking, travel and retail, so why shouldn’t we expect the same for health care? Let’s combat the risk of “steerable” emergency room visits by outlining the key characteristics of a best in class telehealth partner. of employees do not understand their benefits, which is a convincing argument that engagement needs to focus on education. Another survey similarly found that employees don’t understand how their behaviors and use of their benefits impact health care cost. That’s where transparency, technology and consumerism comes in. But what does successful engagement look like? As a self-insured organization, make sure that your telehealth partner puts education first to encourage high utilization and engagement. Influencing behavior takes time but also must acknowledge a path to the hearts and minds of the insureds. That path starts with brokers who must engage and educate admins, who in turn must help plan members connect their actions with the moneysaving potential of telehealth. Multiple education outlets targeted to brokers, admins and plan members that articulate the goals and engagement strategy are vital components and keep money-saving as top of mind when individuals are making care decisions. Communication vehicles like on-site trainings, one-onone webinars, and even pre-recorded webinars, set brokers up to be as effective as possible. Consequently nothing is lost in translation to the organization. An informed broker enhances engagement, impresses the client and improves chances that the plan member will become a full partner in utilization. The same strategy should be used for admins and members. A telehealth partner that reaches out to employers with phone calls, emails and webinars and provides admins with tools they can in turn use easily for their engagement efforts with their employees is an ideal turnkey approach that keeps everyone aligned toward the same goals. BIC stays small to provide the utmost attention to the most discerning tastes. BIC stays small to provide the utmost attention to the most discerning tastes. A brewer that...derives or innovative innovativebrewing brewingingredients... ingredients... A brewer that...derivesfrom fromtraditional traditional or Flavored notconsidered consideredbeers. beers. Flavoredmalt maltbeverages beverages are not brews benefits withinnovation innovationand andtradition tradition always to to deliver value. BICBIC brews benefits with alwaystrue truetotoour ourmission mission deliver value. (PCP), Urgent Care and ER utilization, including visits per 1000 and total cost per visit (both paid by your plan and by the patient). Your telehealth partner should be able to report on number of consults, type of diagnosis, prescriptions issued, and redirection of care. Also make sure they record the time of day the consults occurred, to help reinforce we live in a 24/7 world; you’ll find no argument that the traditional 8am-5pm access to care does not meet the needs of a 21st century health consumer. When effectively designed and communicated, employers can expect to see a positive ROI within the first 12 months and significant, credible returns by year two and beyond. To effectively measure the return on investment, you want to integrate your telehealth utilization with the same self-insured health plan data points noted above. Effective use of telehealth should result in a significant reduction in ER admits per 1000 and a higher ER cost per visit, signifying appropriate use of the ER for true emergency situations. Finally, the telehealth redirection savings should be compared against the subscription cost to complete the ROI analysis. Engaged telehealth delivers significant ROI to the self-insured plan and the insured employees when managed as part of the overall health care strategy as opposed to a secondary “bolt on”. We know the workforce is evolving and attracting Millenials is a critical success factor for all industries. A truly high performing health care benefit plan must be designed to attract and ENGAGE (not just retain!) three distinct generations. We also know that employees are key stakeholder in the success of any self-insured benefit plan. Engaged telehealth provides a great opportunity for employers to deliver a 21st century benefit program that will enable employees to make confident, informed decisions. This is the crux of true consumerism in health care and should be an area of focus for all self-insured employers. Let’s save the billboards promoting short wait times for airport security. ■ Digital health entrepreneur Jim Prendergast is the CEO and co-founder of Scottsdale, Arizona-based HealthiestYou, which was recently named one of the fastest growing companies in America by Inc. Magazine. Reed Smith is Senior Vice President and Practice Leader for beneﬁt consulting for CoBiz Insurance in Denver, Colorado. Prior to joining CoBiz, Reed was a Sales Executive with Great-West/Cigna Healthcare for nine years, where he focused on large, self-insured employers. elf-funding dental can create winners for everyone- employers, brokers and consultants. For employers, it can provide you much needed cash savings for other projects, hiring additional employees or an offset to the continuously rising medical costs. For brokers and consultants, it can help you obtain new business. Most employers would be very happy for you to ďŹ nd the money needed for them to purchase your services! How Does Self-Funding Your Dental Save Money? Let me start out by asking you a question. Have you looked at your dental claims history over the last three years? You may be surprised to find that the actual increase in usage from year to year varies from less than one percent to three percent per year, in most cases. Since that is true, let me ask you one more question. Why are you purchasing insurance for something that varies so little? Believe it or not, most people do not ask themselves this question and remain fully insured giving the profit to the insurance company. What Can the Employer Expect in Terms of Savings? If you compare dental premiums to your actual cost, a 100-member group could be saving $10,000 to $15,000 per year after paying their administrative cost to a qualified Third Party Administrator (TPA). This means if your company has as many as 600 employees and their dependents are also covered, your savings could be as much as $60,000 to $100,000. Put your actual projected premium for the coming year on a sheet of paper. Your actual claims will most likely be between 75% and 78% of the above number (conservatively, multiply by .78) The calculation of the numbers above should give your projected claims for the coming year. Add the cost for administration only. How Does the Consultant and Broker Beneﬁt? On many occasions, an employer is hesitant about purchasing your services for the health care program because of the additional money for fees or commissions or maybe it is because you have some very strong competition. Now, ask your client if their dental plan is fully insured. If so, here is your next question. If I could find the money for you to pay my fees, would you consider using my services? Most employers find this difficult to turn down. Now, you have the edge on getting the business because you have already provided most, all or more than enough money to the client for paying your fees. Advantage you! The next advantage to the employer or your client involves the dreaded “Cadillac Tax” due to occur in 2018. Under the current proposed regulations, if their dental is included with their medical program the cost of both will go towards meeting the penalty limits. Don’t let that happen. Keep your dental plan separate and self-fund it. If you are still a little unsure, let me share with you the following. Should you switch to self-funding and still use your fully insured program’s projected cost for the coming year, it is likely you will not need to raise your premiums for the next three to five years, especially if you are moving the surplus forward. This will be a pleasant surprise for the employer and employee if they share in the cost. Don’t be surprised if you never leave self- funding especially, if you have a good TPA to administer your program. Estimate $3.50 per employee (includes dependents) for 12 months. Now, let’s take a look at what a good dental TPA should look like. Now, subtract this from the original projected premium. You have your projected savings for the year. Employers want to help improve the dental health for their employees and do it as economical as possible. This means controlling costs while improving the employee experience. Most importantly, success occurs when you have a deep understanding of each and every aspect of claims, benefit administration, communication and control. All of this is provided to you by a well-chosen dental specific TPA that can help you manage your desired plan, contain costs and reduce expenses. Employers begin saving money while successful consultants and brokers begin adding to their business portfolios. Self-funding Dental: It is a win for everyone. ■ a win for the consultant or broker who choose to use the strategy of moving their dental benefits to self-funded plans. More and more employers are deciding to self-fund their dental benefits, while consultants and brokers are not only recommending this change, but also helping their clients get there. Alan Bayse, Independent Consultant has been helping companies self-fund their dental beneﬁts for more than 25 years. Contact Alan at (540) 521-7711 or alanbayse@comcast.net. BUILDING A STRONGER FUTURE RENAISSANCE DALLAS HOTEL Join us to find out “Why not a TPA!” Registration is now open! Exciting New Format This Year! oining SIIA is a great ﬁrst step. SIIA membership represents many different areas, including self-insured entities, Third Party Administrators, Captive Managers, Excess/Stop-Loss/Reinsurance Carriers and other industry service providers. Desert Ridge Resort & Spa in Phoenix, Arizona, a 2 night stay at the JW Marriott Starr Pass Resort & Spa in Tucson, Arizona, a $500 Amazon gift card and a $100 American Express Gift Card. 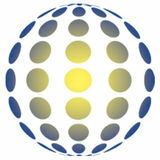 ■ For more information on SIIA Committees or SIEF, please visit www.siia.org and www.siefonline.org.